SOCHI (UrduPoint News / Sputnik - 16th April, 2019) The testing of the world's first ever floating nuclear power unit (FPU) Academik Lomonosov, which has been developed in Russia, is about to be completed, with the unit's reactors expected to start working at full capacity in the near future, a source in the Russian nuclear industry told Sputnik on Tuesday. "The tests on the floating nuclear power unit will be completed literally within the next few days. The reactor systems are starting to work at 100 percent capacity. Everything is going well, the tests have shown that the unit's main and auxiliary equipment is working steadily," the source said. Academik Lomonosov is the flagship of Russian Project 20870 on mobile transportable power units of low power. The FPU will be operating as part of a floating nuclear thermal power plant. The unit is equipped with two KLT-40S reactor units, each capable of generating 35 megawatt of power, which is enough to provide electricity to a town with the population of up to 100,000 people. 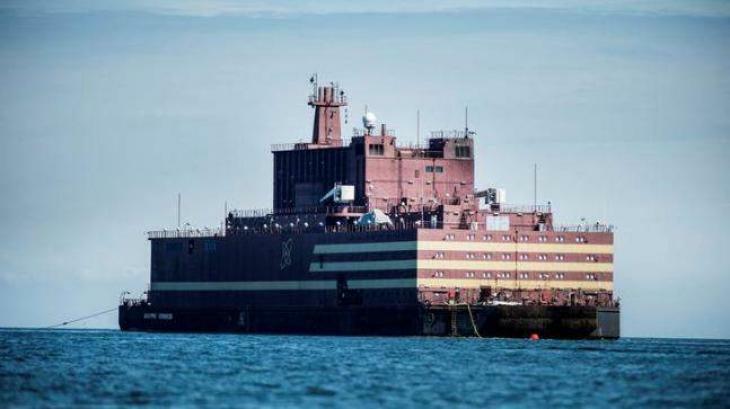 The floating nuclear power plant has been designed to supply electricity to some of Russia's most hard-to-get areas in the Extreme North and the Far East, and off-shore oil and gas platforms. The lifespan of the FPU is projected to total 40 years, but it can also be prolonged up to 50 years, according to Russian State Nuclear Energy Corporation Rosatom.